Having a Board of Directors or Advisory Board can be a major tool for implementing good governance and risk management in your company. It should not just be looked upon as a requirement. Board members are a second set of eyes and ears for the CEO that can insure that the important data inside and outside the company is being evaluated and debated. A board can help bring valuable connections and direction to current operations and can help position the company for successful exit by routinely monitoring key business risk factors. You need to set a calendar of board meetings (with busy board members, this is more easily said than done) but publishing the yearly calendar upfront can help reserve dates and ensure that you get the feedback and advice you need from your board members. A board agenda and package needs to be circulated several days in advance of the meeting which includes the latest business updates (sales forecast, engineering report, partnership updates, etc. ), an update on financing activities, financial results, proposed option grants, last meeting minutes and any other information that the board needs to review to carry out its duties of care and loyalty to the organization. Minutes should be taken, distributed at the next meeting for approval and kept in a central minute book. Required committees should be established, such as Audit and Compensation Committees. 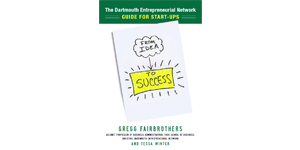 From Idea to Success: The Dartmouth Entrepreneurial Network Guide for Startups walks readers through the entire process of launching a new company, product, or service, from concept to business success.